It seems as if every big name cloud provider is looking to jump into the UC race, offering different communications platforms at different costs. 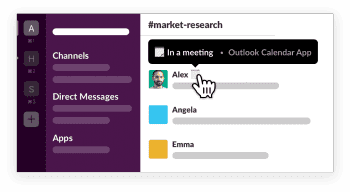 We’ve seen the Enterprise market continue to grow, with Slack finally announcing their Enterprise Grid, as well as Microsoft Teams and Facebook at Work both launching last year. We’ve even seen Cisco expand Spark into something so much more with its Spark Board hardware marriage. At this point, even Google solutions will handle most of your necessary functions. But now it’s Amazon’s turn to step into the ring, against all other contenders. 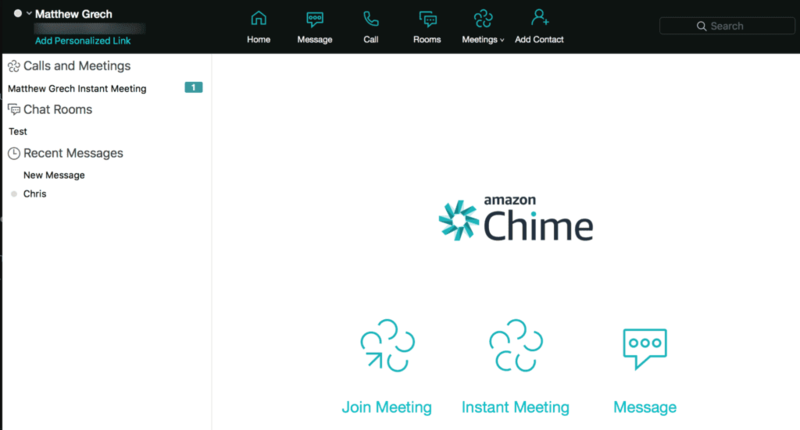 Based off of the Amazon Web Services platform, Amazon announced their new Chime app, which is first and foremost an online meeting and video conferencing solution. 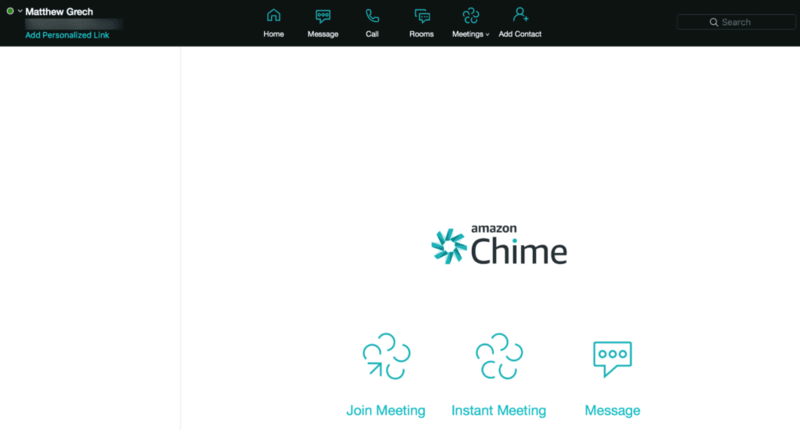 Amazon seems to be stressing the video aspect, but Chime can also act as a total UC app replacement with chat, group chat, video conferences and even file sharing. Since the app is already available for download even with a free plan, we decided to take a close hands on look at Amazon Chime. So, lets dive in and see what Amazon can bring to the table. 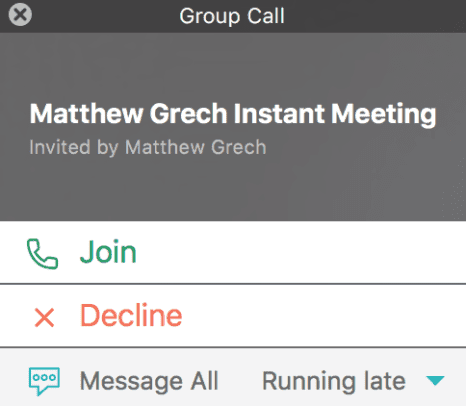 Right off the bat this is clearly a UC app, you might even be willing to call it a new Slack alternative, although the market has begun to notice 2017 UC trends forming, and a rather clear distinction between Enterprise UC apps, or Corporate Collaboration platforms, and simple workplace messengers or chat apps. Slack would fit into the latter, although they have begun expanding, options like Spark and Microsoft Teams offer even more focused on the large sized company with the biggest teams. Amazon Web Services seems to slot in there as well, with the Enterprise focused solutions. That doesn’t mean it won’t be usable by any size team, with free and cheap entry tier plans the solution is certainly affordable and capable. Overall, it really seems like businesses don’t need to pay for web conferencing solutions anymore. 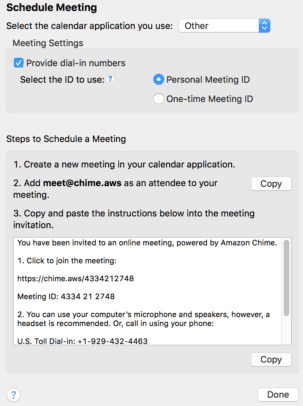 Online Meetings – So Chime was designed to help run productive meetings from mobile or desktop, which is pretty standard. Users can schedule start times, and everything is easy to join with a single tap on your phone or click on your desktop. There’s a visual roster to show who is in the call, and users can even mute background noise. Again this all sounds pretty normal, but the key is how simple the system really is to use. As we know user experience is everything, so Amazon seemed to have a strong focus there – everything is one or two clicks, joining is a simple notification and a click away, or even through a personalized URL. 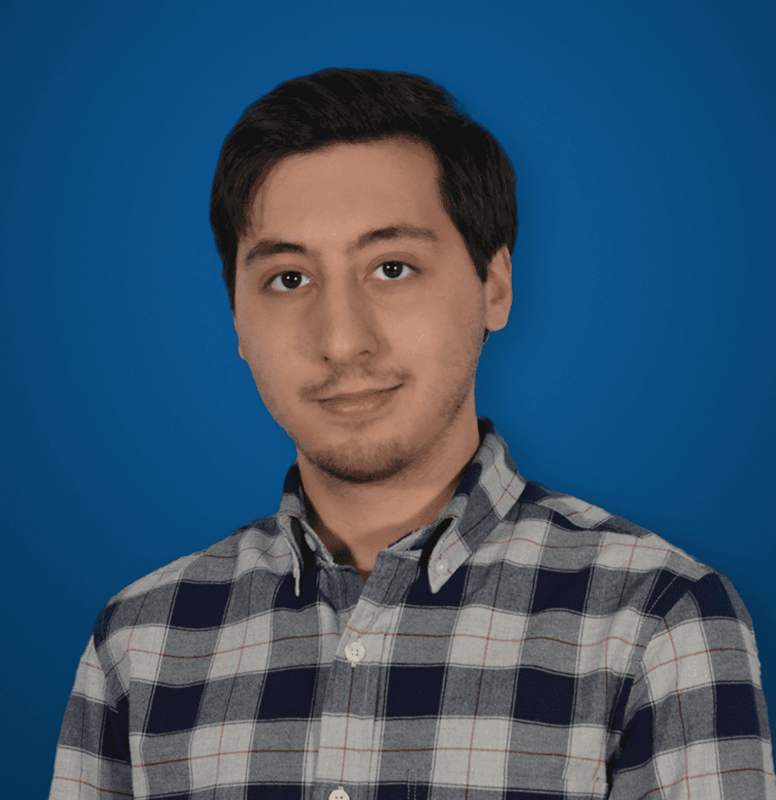 Video Conferencing – While you’ll be gated depending on the plan you subscribe to, Chime is capable of video conferencing with up to 16 people on your desktop, but oddly limited to only 8 people on mobile devices. Which makes one wonder, how does this compensate for hybrid meetings – say you’re on the phone but need to jump into a 12 person meeting, will your phone be incapable of doing so? 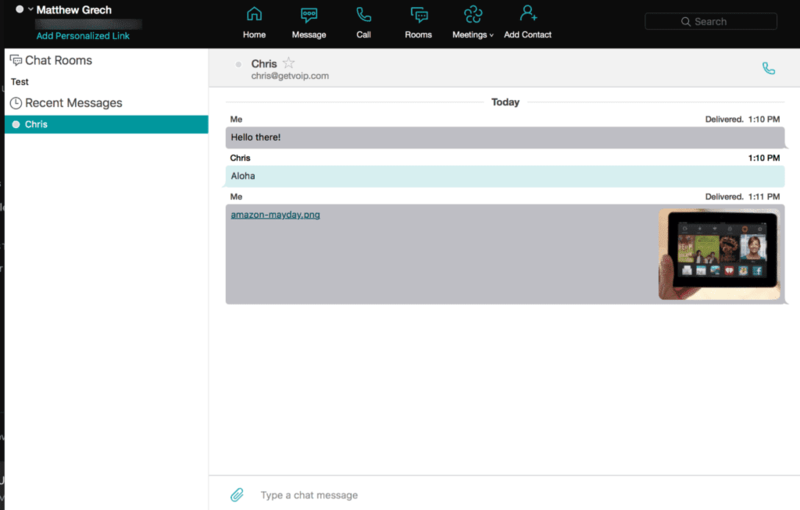 Chat – How could Amazon produce their own UC app without allowing for chat? Chime lets users chat with people both inside or outside of your business, there are notifications like you would expect, and the usual features of tracking messages, group chat or just one to one conversations, even file sharing. And, of course, its all persistent throughout every platform as well. Chat Rooms – So Amazon makes a point to list chat rooms as a separate, specific feature. Chime allows users to create different chat rooms to help bring your teams, or even groups of clients, together to collaborate on projects. So pretty much, the same thing we already covered in the point above – just Amazon wanted to make sure you knew that group chat rooms exist. Smart Presence – Chime uses what Amazon calls a “smart presence” to indicate status with the usual standard concept of green means you’re there, but red means you’re busy. Like usual you can set your presence manually to busy, but Amazon also threw in something you don’t necessarily see very often: the ability for users to set themselves invisible, and appear as if they are offline, for absolute privacy. Your developers will love that one. File Sharing – So Amazon likes to be redundant, but they also wanted to remind us again that Chime allows for simple file sharing with just a drag and drop action. This is great though, and one of the little user experience elements that Slack receives so much praise for so good for Amazon on throwing it in. Screen sharing – This one Amazon didn’t make a huge point to highlight themselves, but I figured very much so worth including. 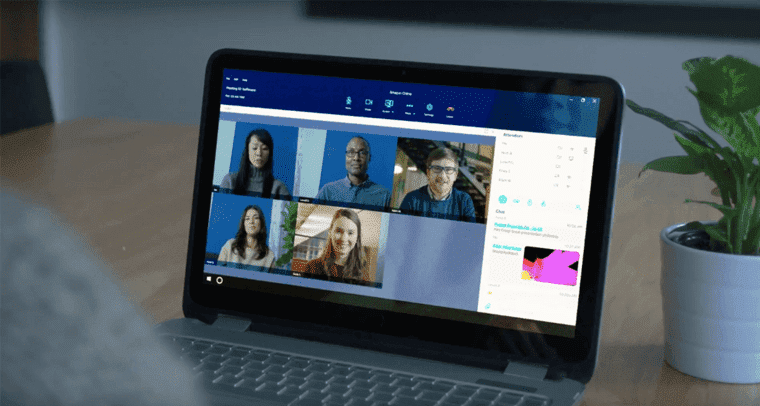 We actually took a very close look at video solutions that offer screen sharing , so there’s definitely a need for it and it’s a great feature to include, one that it seems only Skype has in their tool belt as well. So credit to Amazon here. That’s Nice, But What’s It All Cost? Amazon broke down the Chime service into three different plans, which is pretty standard again. However, a bit unusual is that Amazon Chime does offer one of the cheapest entries into a capable UC platform with their Plus plan starting at only $2.50 per user per month. 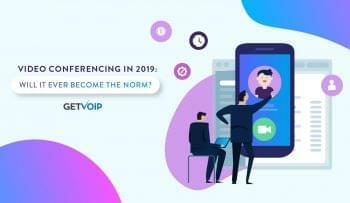 While there is a free plan, you’re probably better off with a different free web conferencing service, as most users won’t even want to bother with Chime’s free plan, limited to only 1:1 video and voice calls. This might make sense for the one time video call with a client that uses Amazon services, but overall if your team is larger than 3 people you’ll end up having to pony up. Amazon also offers a 30 day trial of Amazon Chime Pro for free. If Chime is for the Enterprise, Just How Secure Is It? So security is something I’ve discussed at length before, especially when it comes to different UC or work chat apps. It should be no surprise that Cisco always ensures their platforms are locked down and secure, like Spark’s intense level of encryption. Its also no surprise that Slack is, or at least was, routinely poked at for its lack of security. Yes Slack has since hired security experts, and started a division and a blog to keep their efforts moving, but it was an after thought and they’re playing catch up – but Amazon, like Cisco and Microsoft, knows how important security is to the Enterprise market. So they started with it right off the bat, as well. Since the entire thing is built on the Amazon Web Services platform, security is already baked right in – users will “benefit from a data center and network architecture built to meet the requirements of the most security-sensitive organizations.” Like I said, Amazon knows how serious it is. Network firewalls built into Amazon VPC, and firewall application capabilities that allow users to establish their own Virtual Private Networks. The ability for users to choose whether their encryption keys are handled by AWS, or your own business. The real key takeaway here is the ability for users to handle their own encryption key, or allow AWS to take care of everything. While any smart business will handle it themselves, and this is exactly the kind of practice that helps keep Cisco Spark so secure, one could also argue it is nice to have the option. So Amazon does clearly care about security, and has at least gone far enough to ensure they meet the expected compliance standards already in place. And we already know how robust and powerful the Amazon Web Services are, with service in 16 geographic regions and redundancy in each. What really matters is, what’s the app like to use? What’s It Actually Like To Use? Here’s the real important part – a team can design and offer the most affordable, feature packed service that works as a master of all trades – but if the overall experience for users is just flat out annoying, difficult, complicated or confusing no one will use it – full stop. User Experience is everything, in this market, and well that’s true for most markets really. So the real judgement of a platform or app can come down to the overall UX – why do you think Slack caught on so well even though its just a pretty IRC client? It would be almost impossible to discuss the user experience without first looking at the design, as the two elements obviously go hand-in-hand. Important to note I’m on a Mac, so using the MacOS version my screenshots might look a little different from the Windows version, but overall the functions are exactly the same. The design itself is fairly basic, although it does seem to stray away from the standard left side panel for menus and controls – that’s where your chat rooms and messages lie, which is normally, but that’s it. In fact, Amazon Chime houses all of your functions and controls right at the top of your app, with simple icons and a small text name for each button. In the center you have access to Home, where you can join a meeting, start an instant meeting, or a message, but also the Message, Call, Rooms, Meetings and Add Contacts buttons up on top. But, as I mentioned, falling back to the more standard practice, the left side of the screen houses your Chat Rooms, Recent Messages, and ongoing Calls and meetings. This is all mainly laid out in text with only tiny icons to help separate everything, but also notifications for new messages. A presence indicator of a circle is clear next to user’s names, with green meaning here and red meaning away or busy. 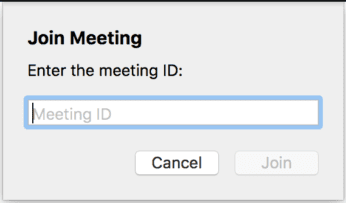 Clicking on other options, such as Message, call or Meeting like in the picture above, simply opens up a pop up for users to begin their new meeting, or message or call. 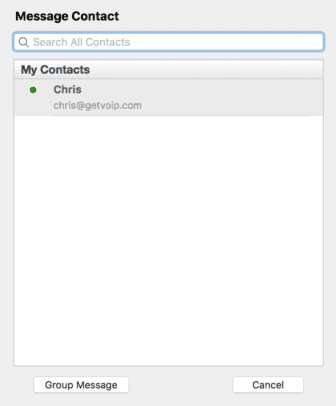 What is kind of odd is that I can’t seem to find away to view my entire directory or contact list all at once, unless I’m starting a new message or meeting. There’s no dedicated “contact” or “friends list” or anything of that sort. So now that the design is out of the way, you might begin to understand what Amazon Chime is like to use. And unfortunately, from the short period of time I’ve had to play with Chime – that experience doesn’t seem to be the strongest. Launching Chime for the first time, I was greeted with some standard and familiar icons for simple functions up time that I mentioned before, but right away I was a little confused – lacking any form of contact list, any obvious markings for existing chats or existing rooms (Slack at least launches fresh with a Slackbot conversation, and a General discussion group), the entire thing felt empty. I’m sure if you’re jumping into an established team’s Chime setup, the startup won’t be as barren as mine, but it definitely didn’t feel like a standard UC app at first. However, it does seem a bit odd that clicking on buttons, like Message, Call, Rooms and Meetings simply spawns a pop up for the action, instead of utilizing a dedicated tab for the functions. On one hand, you could say this allows for a simple experience – you never really leave the main page, just click on the buttons for their functions. So in that sense, it’s a unique and different take compared to something like Microsoft Teams that allows users to flip between dedicated tabs for different functions and communications. However, for many like myself, this might prove confusing and an overall poor experience when compared to how standard apps are functioning. It just felt like things were hidden, or completely missing. I’m not sure how much I personally enjoy Amazon’s approach, but that’s just my take – I didn’t enjoy Cisco Spark as much right away (although I do now) and have always disliked or at least failed to understand the massive Slack hype (using it for months, and looking at competitors, it starts to make sense), but I could just be a bit of an outlier. However, being a digital native I might simply also be jaded to these applications – the simple idea of instant messaging is something I’ve done with friends since 5th grade on AOL Instant Messenger, and being a gamer I’ve followed the massive number of gaming communication options out there. So when I’m super familiar with solid platforms, switching to something like Amazon’s unique approach throws me off – as I’ve said before, if it works don’t fix it. I’ve also seen many, many approaches from the simple IRC and Teamspeak days, to advanced apps like Slack, Spark or the gamer friendly Discord. Even something as simple as Ventrilo or Teamspeak, or even Slack, manages to feel like a full, completed platform. But this doesn’t really tell the whole story, since Amazon is focusing Chime on its Video Conferencing capabilities, it seems like the main focus should be on how easy and simple it is to setup or join calls. And it really is. Starting a call is just a drop down menu to choose your contact, with the option of a dedicated and personalized address or just a standard chat. So credit where it is due, for sure. Those attending will receive an invite from their app, which is just a simple one tap join button. They nailed that, that’s for sure, but at the same time Amazon isn’t the only one to produce an easy to use video conferencing solution as we know. Overall, the app works and gets job done, and I can truly see Amazon’s attempt to keep everything simple, with less buttons to press and menus to scroll through. But I personally am not sure how well this concept will catch on, the entire platform feels almost weak and shallow, and this is in a space when even something like feature free as Slack manages to feel sticky and robust. I’ll let individual users be the judge of how much they enjoy this simplistic feel, but to me Chime definitely feels as if Amazon took a look at what everyone else does, how they do it well, and approached it with “everything needs to be easier than that,” but what they ended up with was an anemic feeling platform. At least when it comes to messaging, that is. I think the real important aspect here is that Amazon has shown a clear interest in expanding their already massively popular cloud platform into more options. Users already taking advantage of the Amazon Web Services would probably benefit from Chime, just like users of Office 365 would gain more out of using Microsoft Teams. Amazon Web Services are secure, robust, reliable and global after all. Will Amazon dominate the market, and replace something like Skype For Business? I’m not entirely certain about that, but only time will tell.